Epcot has always been my favorite park. As a kid, I wandered through Future World, adoring Horizons, Journey into Imagination, and World of Motion. I especially loved the all the hands on fun and interactive exhibits at Communicore and then Innoventions. But lately, Epcot has really only seemed to come alive during its periodic special events, like the Festival of the Arts and the International Food and Wine Festival. It remains my sentimental favorite park, but I was sad to see Future World seem to slowly wither away. Recently, however, a ray of hope seemed to shine on my beloved park. A new attraction opened up in Innoventions. 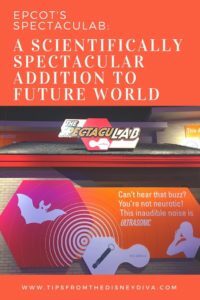 Called Spectaculab, the show harkens back to the what I like to call the “golden days” of Epcot and is well worth a visit. 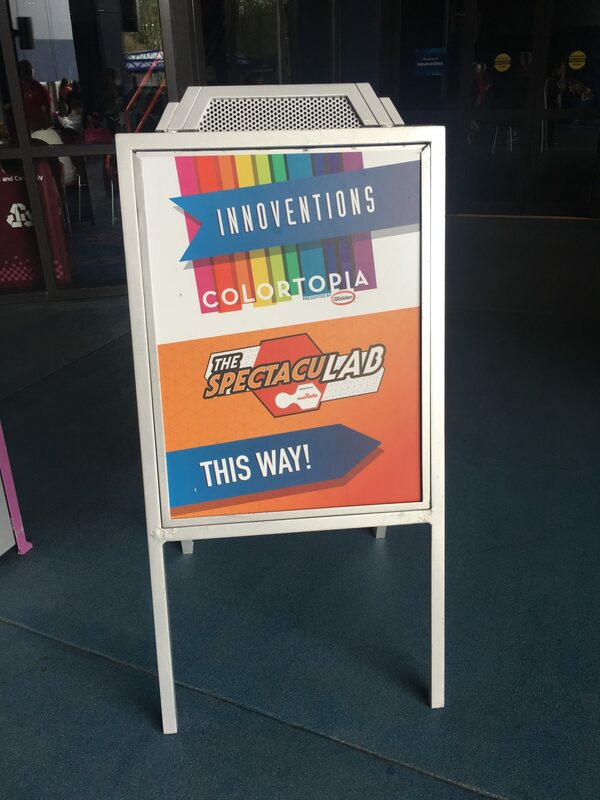 This attraction is kind of hidden away in Innoventions East across from the Mouse Gear store with only a small sign to mark the entrance. 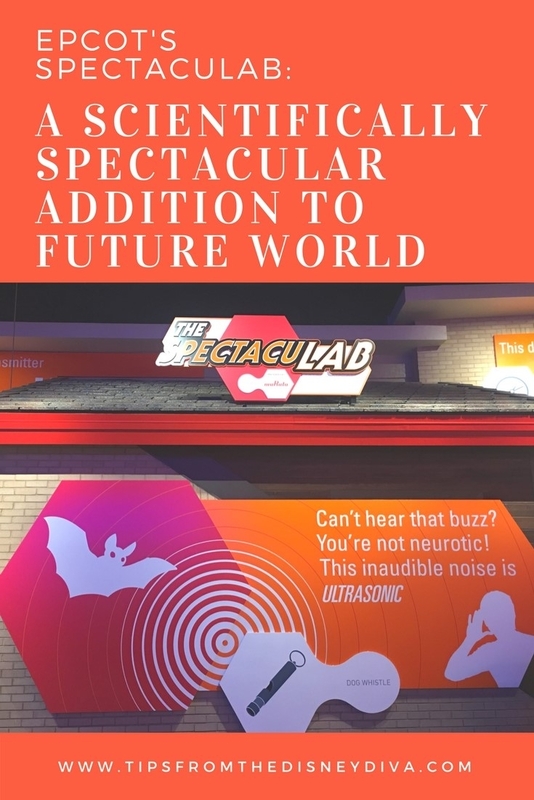 Located next to the worthy Colortopia in Innoventions East, this attraction is presented by scientific instrument-maker Murata and billed as “a funny and fascinating show that celebrates basic scientific principles” and it really does just that. 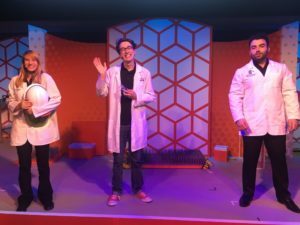 The premise is that a young intern, Frankie, is learning about science on his first day on the job, and the audience learns right alongside him. The show is currently running 5 times a day, at 10:30 am, 11:45 am, 2pm, 3:15 pm, and 4:30 pm. 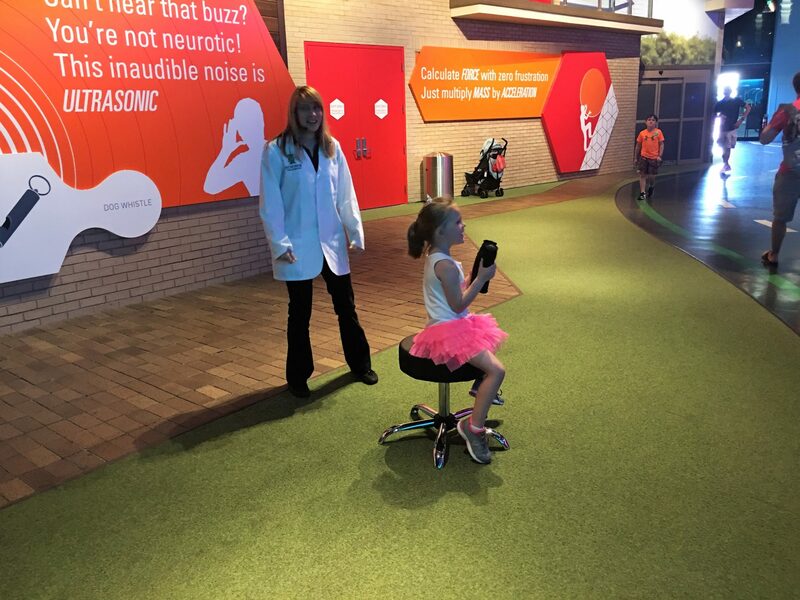 While guests line up in the waiting area, there is a pre-show teaser where mass and velocity are demonstrated in real world terms. You are then let into a small theater with benches, and kids are encouraged to sit on the floor in the front. The show itself is actually a series of experiments conducted by a rotating cast of two real-life scientists who are part of a nonprofit group called Science from Scientists whose mission is to “teach and inspire the next generation to identify and solve real-world problems by improving STEM literacy.” They want to inspire students to see that “science is in everything,” and they do that during the show by using everyday objects and situations to explain concepts like barometric pressure, sound waves, force, and velocity. 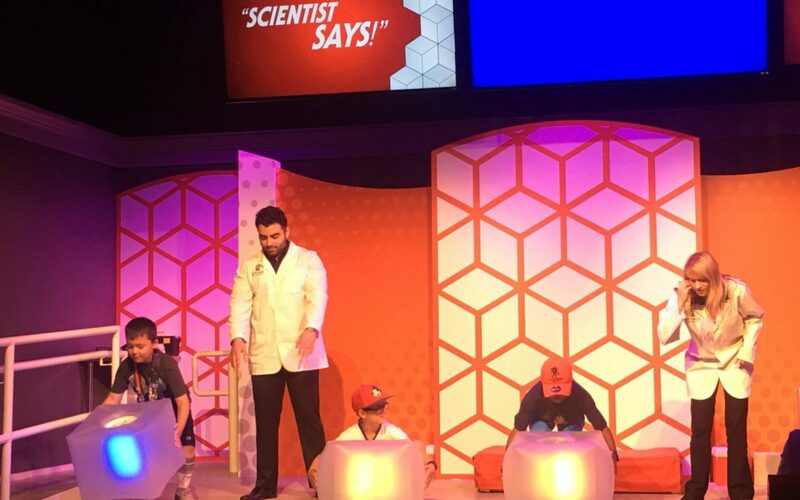 During the preshow, a scientist has guests demonstrate principles of mass and velocity. Brand new intern Frankie stands between the two real-life scientists who conduct experiments during the show. Hooray for a return to the Epcot of old! 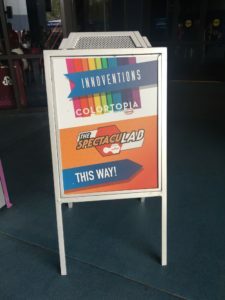 Here’s hoping they install more attractions like this in the rest of the currently empty Innoventions areas. 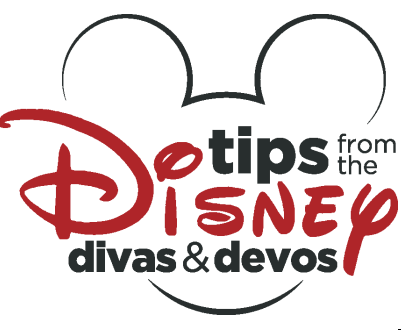 If you’d like to experience all the newest attractions at Walt Disney World, contact Patricia at All for Dreams Travel for a FREE quote and FREE help planning your Disney vacation! Celebrating America at Magic Kingdom: A 4th of July Fireworks Spectacular!